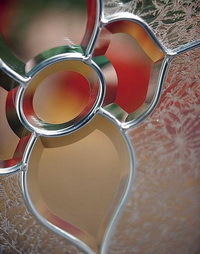 Nouveau places a brilliant bevel cluster at its center and frames it with a Classic translucent beveled glass design. Complement your entry door hardware or home colors with a choice of patina, nickel, or brass finish. 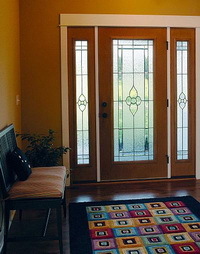 Nouveau offers a medium level of privacy.